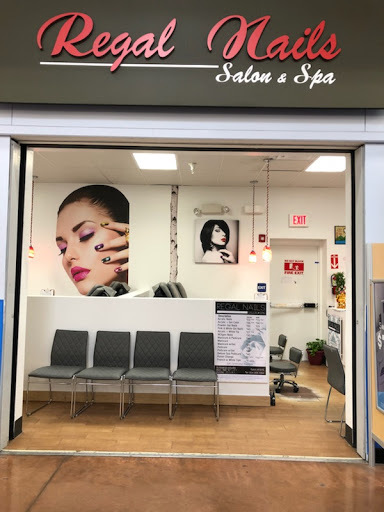 Welcome to Regal Nails in Coconut Creek, FL 33073! Now, dipping powders are available. Located conveniently in Coconut Creek FL, 33073, we are pleased to provide the clean and welcome atmosphere, which will make you freely enjoy the relax moments and escape from all of life’s pressure to make the most of wonderful time. Our salon takes pride in providing our valued customers the best services and customer service satisfaction. You can find all beauty services, from Manicure, Spa Pedicure to Waxing and more. At Regal Nails, a wide choice of services and more than 200 gel colors are provided to customers to select. All of our services are at decent prices, so there is no hesitation when you select one or even more at our salon. In addition, Regal Nails is equipped with modern tools and instruments. Clean and beautiful space would make you feel comfortable, relaxing, and all of your fatigue and tiredness will immediately fade away! Let’s go shopping and come to visit us! You can contact us at 954-354-1004 or 561-921-7008. Please leave the message if the line is busy, we will call you back soon. Special: Disposal liner & Eyelash extension are available!